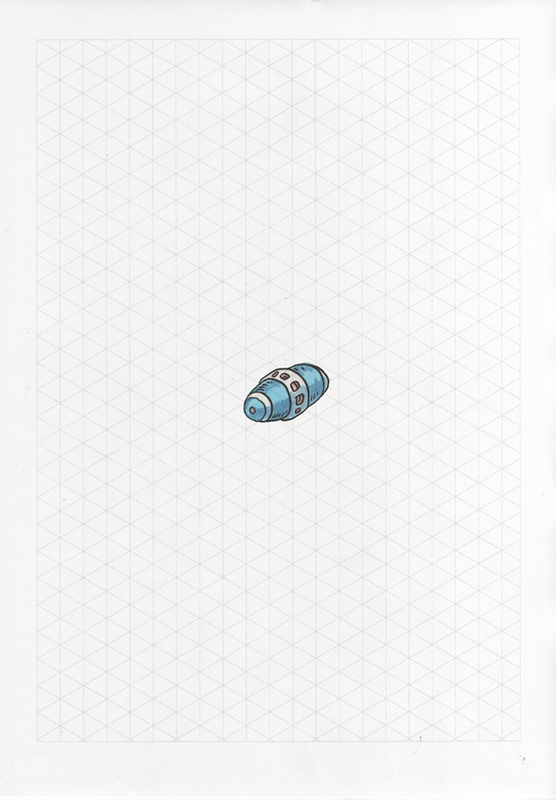 I really liked the football shaped blue bomb, so didn’t really change it too much in my redesign. There’s now a series of lights that run around the diameter of the bomb, that could cycle through or flash on and off depending on what the bomb was about to do. It was tempting to link them to the Bobomb from the Super Mario franchise.